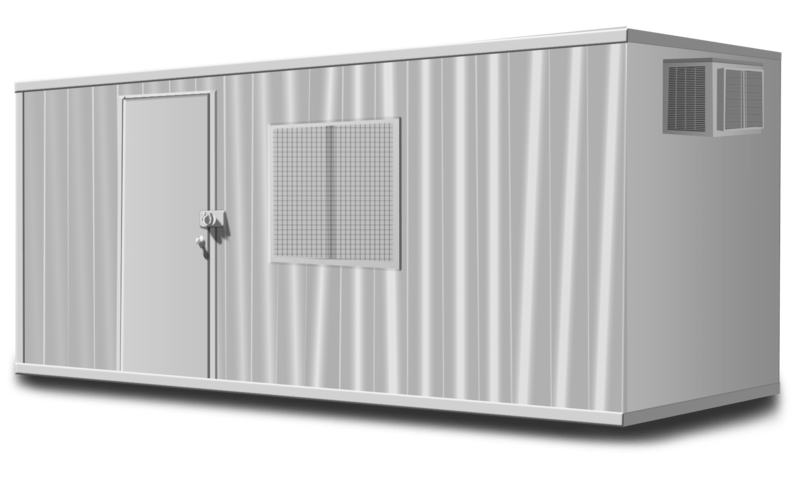 Our 20 foot cargo style office container is a great alternative for contractors on their job sites, for businesses that needs a temporary office or if you don't want to use that other bedroom in your home as an office. This portable office makes for an affordable option that demands less space than your typical large office trailer. There is no set up costs that is typical to other portable trailer set-ups and it can be quickly relocated on a site if needed either by our service or by an on-site forklift. • Length: 19 ft 5 in.